Over 36 million Americans practiced yoga in 2016—a more-than-50-percent increase in four years—according to surveys conducted by Yoga Alliance and Yoga Journal. 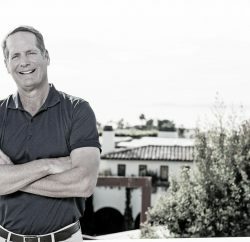 And this exercise, which balances a physical workout with mental focus and a sense of calm, continues to rise in popularity in the U.S., thanks to an increasingly health-conscious culture and the countless research studies that claim that the 5,000-year-old practice boasts a litany of benefits. From better eating habits and lower body mass index, to increased muscular strength and flexibility, yogis tend to be, overall, healthier. With ample medical science to support the notion that it’s important for adults to incorporate yoga and meditation into their health and wellness routine, it’s no surprise that more and more practitioners, teachers, parents and psychologists are touting the benefits of children partaking in the activity, too. “I think yoga allows children a practice to get into their little bodies and quiet their minds a little bit, hone their energy[and] help them become more focused,” says Dr. Amelia Hardwick, a Laguna Beach-based licensed clinical psychologist. 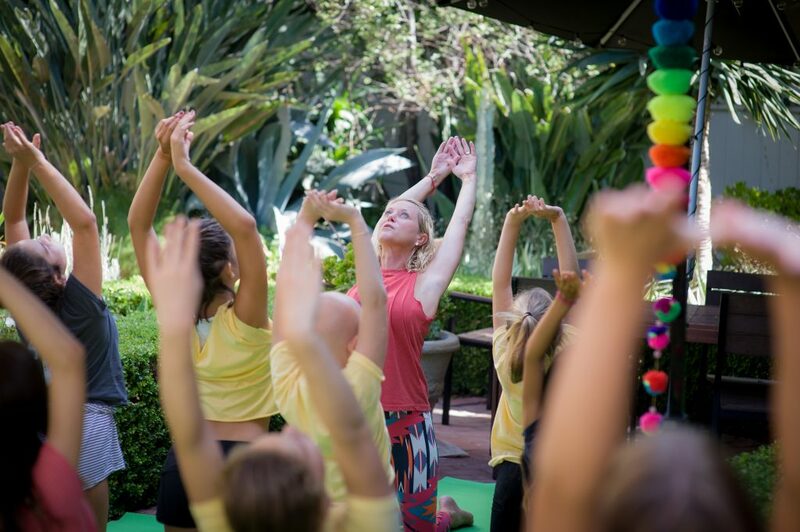 Fortunately, Laguna offers many opportunities for little ones to stretch and calm their bodies and their minds, with several child-specific yoga programs, camps and classes around town to help set kids up for a lifetime of health and happiness. Arguably, there is no one in town who understands the far-reaching benefits of a practice for children better than Staci Bina, founder of Bala Shala Yoga For Kids in Laguna. She discovered yoga roughly 14 years ago, and, after being blown away by the profound changes she felt in herself, she eventually sought a 500-hour teacher training program so that she could share her passion with other adults. It wasn’t until she became a mother that Bina considered the impact that yoga could have on kids. “My own daughter, I could tell, was going to be difficult, so I said, ‘I’m going to take a yoga teacher training course to teach kids [and] to see if it would be beneficial to me as a parent.’ And I was hooked,” Bina says of the training, which was offered through the New York City-based Karma Kids Yoga, a studio that Bina refers to as “groundbreaking.” Among other noticeable differences, Bina saw that learning yoga helped her daughter sleep better at night. She adds that the breathwork involved in the practice can also teach children to stop and think before acting and to self-regulate when it comes to handling their emotions. “When they’re about to have a tantrum, we can say, ‘Remember that breathing exercise we did—[remember] to stop and take a deep breath and then react,’ ” Bina says. “My daughter is now 10 and I see it in her choices. Yoga isn’t just about the cool moves we do, it’s about being a good human being. 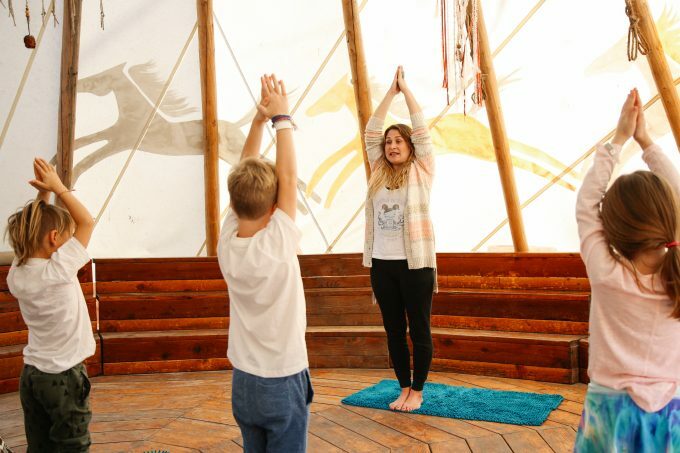 I’m watching her apply it to her own life… .” Hardwick adds that when kids practice yoga, they’re acquiring hands-on skills that help them learn to self-soothe, calm down and reconnect with themselves. And these are skills that they’ll carry with them into adulthood, too. Deeply inspired by these and other profound benefits, Bina went on to earn hundreds of hours’ worth of training (she holds multiple certifications) to teach teens and special needs students, and she eventually found herself teaching yoga and volunteering at schools in the Laguna Beach Unified School District. This, in particular, is an experience that Bina has found incredibly rewarding, as she’s seen the ways in which yoga helps kids better handle everything from test-taking to social situations. And much of that is about yoga helping children gain confidence—both by being able to hold certain poses and discovering more about themselves in the process—and learn how to navigate overwhelming or stressful situations. 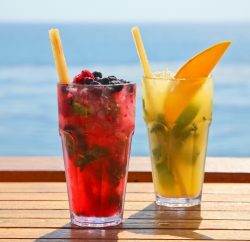 Ultimately, Bina decided to open her own local brick-and-mortar yoga studio for kids on South Coast Highway in 2014, which would fill a void not only in Laguna but in Orange County. 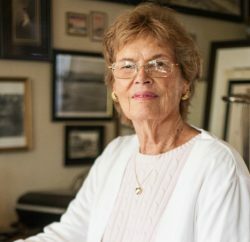 And though Bala Shala (which means “child’s house of learning”) remained open only until 2016, by that point, Bina had firmly established herself in the community, through her own classes and work within LBUSD, and through friendships with like-minded individuals. As a result, she’s been able to continue offering her own unique brand of classes, camps and teacher training programs at various locations around town, including Cho’s Academy, Bluebird Park and Pacific Blue Yoga. Soul Project boasts a beautiful SPACE (Soulful Projects and Creative Events), an outdoor patio just behind the shop with a fireplace, garden and fountain, and a serene vibe—the perfect location for yoga. Last summer, The Soul Project and Bala Shala welcomed more than 150 kids and teens at its yoga camp, which included practice at the park and beach, as well as meditation and mindfulness, crafting, dance parties and “so much fun and laughs—it’s really special,” Meek says. For 2018, in addition to the summer camp for kids and teens, Meek and Bina are running a six-week yoga workshop for teens that started Jan. 19; it will cover everything from yoga and meditation to self-care, journaling and aromatherapy. And, at the store starting in January, kids’ (ages 4-8) yoga will take place every Monday at 3:30 p.m., parent-and-me classes (for adults and kids ages 2-4) every Wednesday at 9:30 a.m., and “big kids’” yoga (ages 8-12) on Thursdays at 4:30 p.m.
Additionally, Bina will offer Karma Kids Yoga Teacher Training in March. Through this program, participants will learn the Karma Kids method, which includes props, art, animated poses, storytelling and the imagination—an approach that Sam Breit, the creator of Laguna’s Mindful Octopus, also takes. A storytelling yoga program, Mindful Octopus implements its own unique curriculum, with lesson plans centered on folk tales from around the world and that include elements like creative exercises, games and art projects. Breit started the kid-friendly program, in part, to help children hone their body- and self-awareness and their imaginations, as well as critical skills like listening. Bina and Meek share a similar vision, explaining that the classes held at The Soul Project are aimed at meeting kids where they are, incorporating ample fun through games, stories, dancing and art, and giving kids the chance to just have fun. And, of course, at the end of the day, the core goal of all of these programs is to enhance children’s lives—present and future—by giving them a practice of yoga and mindfulness.